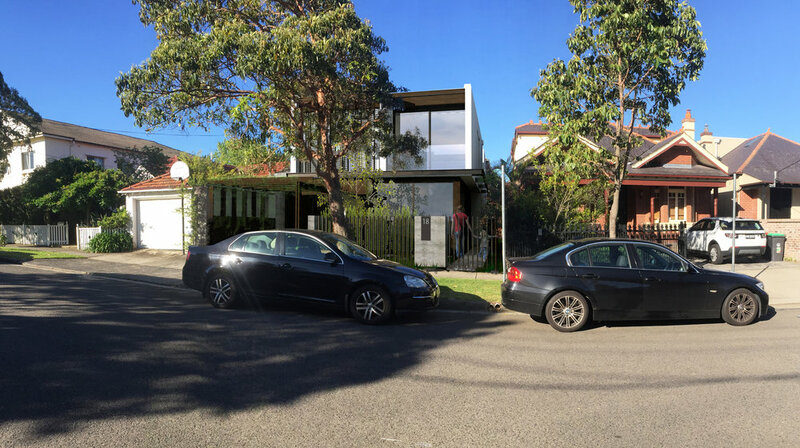 Located on a narrow, flat site in Bellevue Hill, this two storey, 4 bedroom family home seeks to add a contemporary yet sympathetic contribution to a streetscape consisting of predominantly federation style facades, through a material palette of dark timber, render and off form concrete. The building is conceived as two distinct pavilions separated by a circulation zone and central courtyard, providing natural light and ventilation to the centre of the house. The front pavilion contains service areas and children's bedrooms, whilst the rear pavilion contains living areas and the master bedroom zone.